Please Select your desired NCX Membership from the pop-down field below. NOTE: If you are using a Coupon Code, just ignore the Pink Warning Message at the top of the page after applying the Code... Just select your desired membership plan from the pop-down field, complete the contact information requested, and then click the Captach Box at the bottom of the field, and click the "Confirm Contribution" button. As an NCX Member, you will be joining a network of other NCX|CyberCitizens like you that have taken a pro-active step towards educating themselves about cybersecurity, becoming knowledgeable about phishing attacks, malware, and rootkits, and protecting their familes and friends against cyber attacks, ransome-ware, and other personal information explotation. Welcome aboard ! Please Select your desired NCX Membership Program from the Pop-Down List Below. Process only ONE membership program per each individual, because specific user login information will be required for each member in order to fully benefit from all the services provided. Membership Renewals: If you would like to set-up your account for Automatic Renewal, click the check box below. You will receive email notices about your annual renewal 30 days before your renewal anniversary date. Please Enter your Name and Address Information for setting up your NCX Membership acccount. Once you complete the sign-up process... your NCX Membership order will be taken by our system and you will receive an acknowledgment email with the order summary. You will also receive an email to verify your account details, (including your entered username). Just click on the link in the email. At this time your login credentials will be set to "Pending" until an NCX Representative can contact you to complete your order and authorizing your NCX account). Once your login credentials have been approved, you will be able to log into the NCX Web Site, update your profile, as well as have access to NCX Member Services, and login access to the NCX Forum. This is the NCX Form for processing, (online) your new NCX Membership. You will be able to select from two Memberships at this time, (CyberCitizen & CyberExecutive). For a limited time (through October 2018) you can sign-up as an NCX "Beta Tester" for 50% off the normal NCX|CyberCitizen membership of $14.95 for just $7.95. 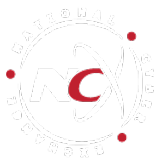 Early Beta Testers will be able to "lock-in" this discounted rate for your annual NCX|CyberCitizen Membership renewals ! With an NCX|CyberCitizen Membership Program for just $14.95 a year, our educated "CyberCitizens" will receive live, real-time, cybersecurity updates, (via the NationalCyber.ORG website and direct to the NCX|App on your Apple iOS and Android Smartphone). In addition, NCX|CyberCitizens will be able to access a complete library of Cyber Training Information, "Cyber Hygiene" best practices, practical how-to's and non-technical tips and techniques for managing your digital devices, appliances, computing networks. With cyber breaches on the rise and no end in sight, the NCX|CyberExecutive program for just $49.95 per year provides the busy Executive with policy recommendations, trainings, guidance in network security and how to change the culture of an organization to be more "Cyber Savvy". The C-suite executive receives recommendations on cyber policy to meet business continuity, as well as financial and fiduciary requirements.